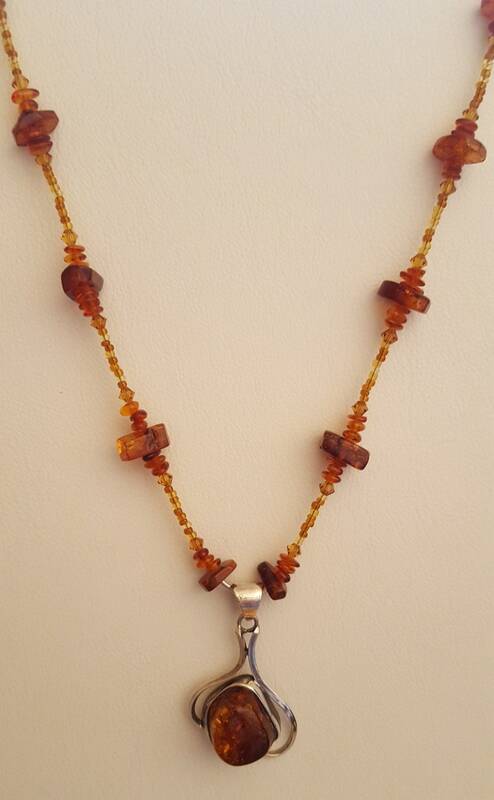 This is a stunning set made of Baltic Amber, swarovski accents and sterling silver. Sterling silver "S" clasp. Necklace is 22" long. A real show-stopper!